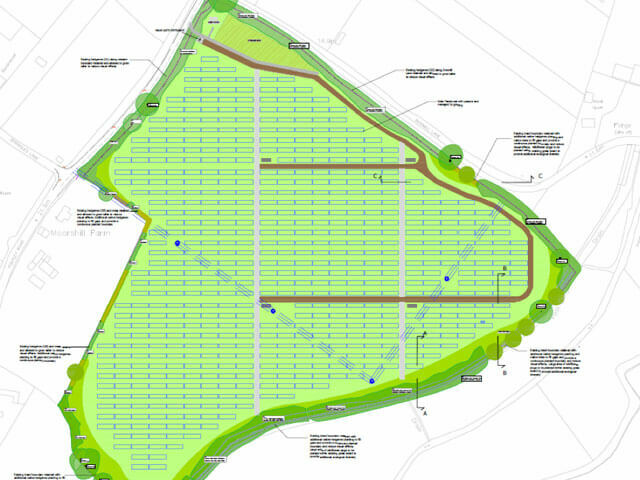 Petrow Harley, landscape architects, has been commissioned to produce a Land and Visual Impact Assessment (LVIA), and landscape proposals for a 7.6ha solar farm in Titchfield, Hampshire. It is estimated that the solar farm will be capable of generating 14 megawatts of electricity and power for up to 5,000 homes in the local area. The scheme included new planting to filter views from adjacent public rights of way as well as measures to improve local bio diversity. Local members saw that the benefits of the proposal outweighed the planning constraints. And the Officers report stated that the proposal will have a positive outcome by increasing its bio-diversity value.